"Quality, value, selection and experience" has been our motto for over 34 years. 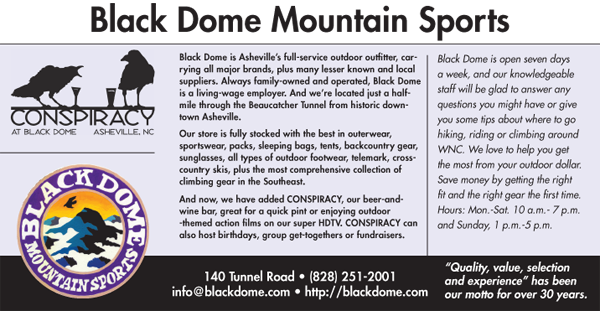 Black Dome is Asheville's original full-service outdoor outfitter. Carrying all major brands, plus many lesser known and local suppliers. Always family-owned and operated, Black Dome is a living wage employer. Located just a half mile through the Beaucatcher Tunnel from historic downtown Asheville. Our store is fully stocked with the best in outerwear, sportswear, packs, sleeping bags,tents, backcountry gear, sunglasses, all types of outdoor footwear, telemark & cross country skis, plus the most comprehensive collection of climbing gear in the Southeast. And now, we have added CONSPIRACY, our bar great for a quick pint plus free fresh hot popcorn, or to enjoy outdoor themed action films on our super HDTV. CONSPIRACY can also host your birthday, group get-together or fundraisers. 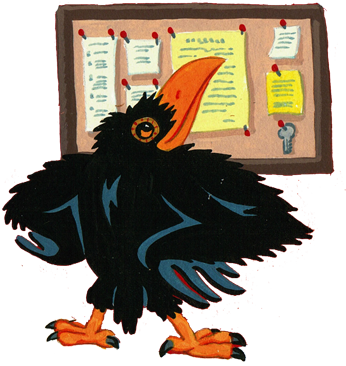 Black Dome is open seven days a week, and our knowledgeable staff will be glad to answer any questions you might have or give you some tips about where to go hiking, riding or climbing around WNC. We love to help you get the most from your outdoor dollar. 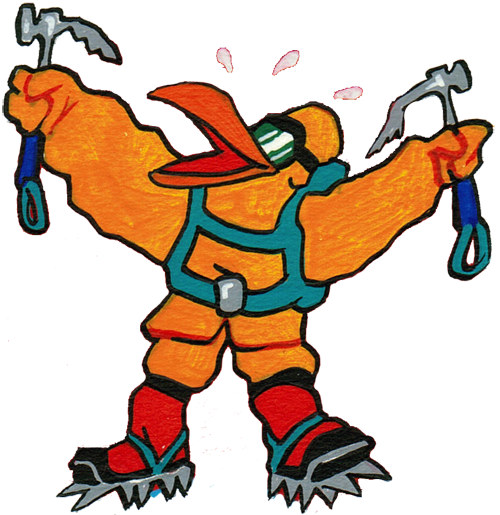 Save money by getting the right fit and the right quality gear the first time.